Professor Joanne Hort stands in the existing testing booths located in the Riddet Complex. 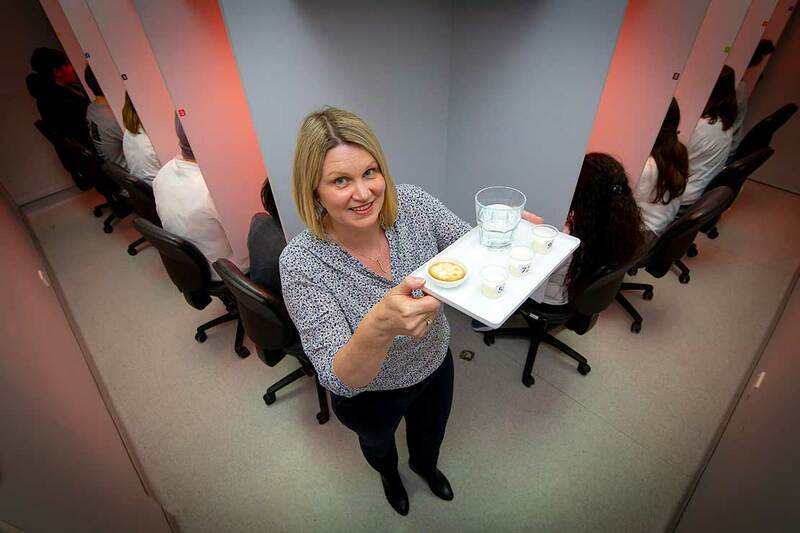 Massey University’s Manawatū campus will soon have a state-of-the-art consumer and sensory science facility, to help determine what drives people in their food choice behaviour. College of Sciences Pro-Vice Chancellor Professor Ray Geor says the investment continues to build on the strong food science capability at Massey and in the Manawatū. The facility will increase the already strong food-science presence in Palmerston North from the likes of FoodHQ, Fonterra, AgResearch and Plant and Food Research.